Items are shipped as soon as possible (usually within one business day). We do not have tracking numbers. This is not an automated system like Amazon. We're a manual mom and pop fan store. 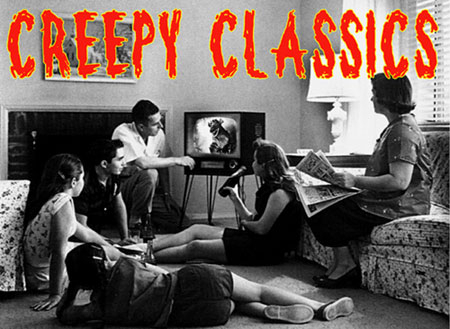 You can always e-mail creepyclassics@creepyclassics.com. Note: The times there will be a delay are when we're out at a convention or trade show. This usually causes a slight delay. Generally orders in the USA are still delivered within 5-10 days. Other longer delays are during our summer one week vacation, and our one week Christmas shut down from December 24 through January 1. To check to see if we're out of town, simply go to www.monsterbashnews.com. Return policy: Sales are final, but we will replace any defective item with the same item. If we're out of that item, you will be refunded. You are responible for shipping back returns and we will cover the additional shipping in returning new items. Our very best wishes for fun collecting and we love talkimg to you. We hope to see you at one of the Monster Bash conferences, or other great trade shows around the country.